KYBELLA™ is a prescription medicine used in adults to improve the appearance and profile of moderate to severe fat below the chin (submental fat), also called “double chin.” If you have ever wished that your double chin would disappear, then you will be excited about the newest procedure now available at Wilmington Plastic Surgery. This recently FDA-approved, injectable is specifically designed to melt away the fat on your chin. Just like the deoxycholic acid created by your own body, Kybella absorbs fat; however, upon injection into the submental fat zone on the lower part of the jawline and chin, it dissolves the fat cells. Kybella is not designed for other parts of your body; it is specifically designed and only approved to eliminate chin fat. The medical term for this double chin fat region is called "submental fullness", which is a polite way of describing that “turkey neck” that many people dislike about their face. Until now, the only other solution for eliminating chin fat has been through surgery or liposuction.  These methods are more invasive than Kybella, which is considered a very quick, hassle-free and virtually painless injectable, similar to those you would receive with Botox or facial filler enhancements. The difference is that with Kybella, instead of "filling" in the fine lines and wrinkles, the Kybella starts working to eradicate those stubborn fat deposits that make your face appear bloated, puffy or chubby.